I posted this picture on instagram (@kahtreenahh). It didn't turn out too bad but I wasn't satisfied yet. I kept practicing the design for a while and decided to try out the design for myself. 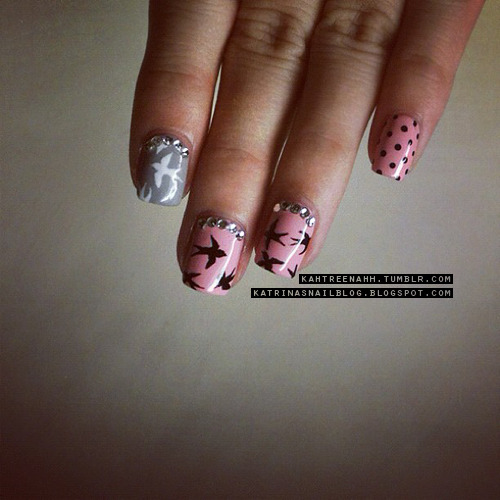 The pink is Essie's Beach Party & the gray is China Glaze's Sea Spray. The birds are painted with acrylic paint. I'm still not satisfied with the mani ... there's something about the design that I don't like; I can't seem to pinpoint it though. Oh well .. This is very-very cute :) Very unique pattern of birds! U've done a great job!! I have yet to master this print on my own. I think they look fabulous!! 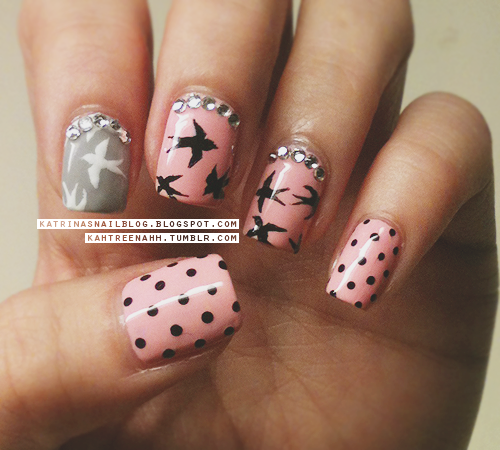 OMG this mani is so beautiful! Oh my gosh, I love these, I think they are perfect! WOW! 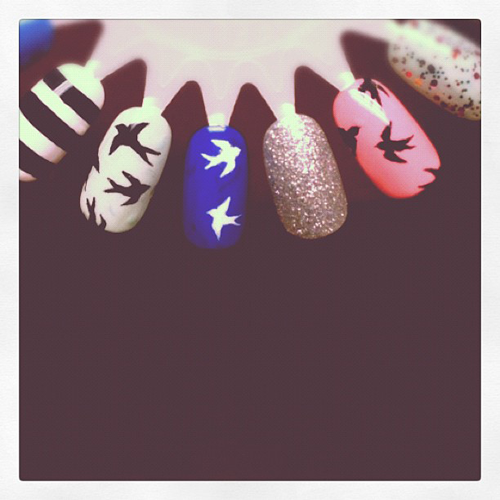 That is very professional looking, I actually thought it was nail wraps at first! oh my gosh, i'm so in love with this. everything about it really goes well and i LOVE that pointer finger accent!